PhD, author of Narrative Design and Game Writing for Mobile Games: Pocket-Sized Storytelling and co-author of The Game Narrative Toolbox. 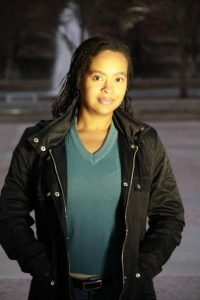 Ms. Finley is a narrative designer and game writer, and an Executive Board Member of the Game Writing Special Interest Group, International Game Developers Association. She is a writer, editor, and game designer at Schnoodle Media, LLC, and also writes for the manga comics YOTU Saga. Ms. Finley has also published several short stories and novellas, along with creative nonfiction pieces and poems. I believe every story has a specific way it needs to be told. Not all stories can be novels. Not all stories can be films. Not all stories can be videogames, and so on. Thankfully, the advancement of technological tools and platforms gives us the opportunities to tell stories for different media and witness how audiences engage with those stories. Writers already have the creative and critical skills to analyze diverse forms of storytelling–including their own–to learn from different strengths and weaknesses. I consider myself a facilitator. No matter the storytelling medium we’re studying, I’m eager to share different kinds of stories and dig into how we can benefit from their techniques. There’s always room for innovation and moving genres forward, and I’m excited to explore those avenues with you.